Our mission to encounter and befriend the people of rural El Salvador has blossomed into relationships between multiple communities in the US and many villages in the Bajo Lempa. Learn more about these relationships and find useful information if you are participating in an upcoming trip. 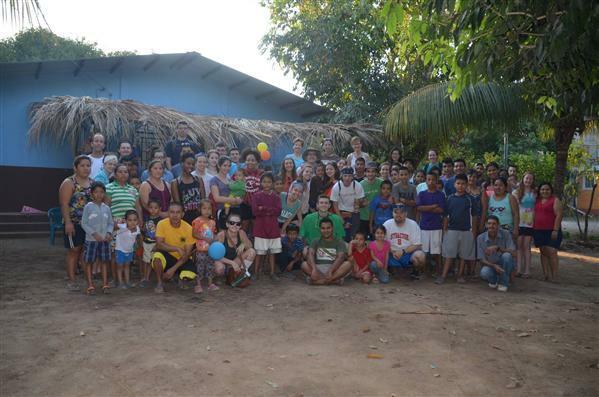 Students and adults from Buffalo, NY have been traveling to the community of Monte Cristo since 2012. Monte Cristo is a small island community in the region of Bajo Lempa. Get ready for an upcoming trip with some helpful information. Get ready for an upcoming trip with some helpful information. Students and adults from Syracuse, NY have been traveling to the community of Rancho Grande for over 10 years. Rancho Grande is one of 18 communities in the region of Bajo Lempa. Rancho Grande has 45 families and roughly 200 people in the community. Get ready for an upcoming trip with some helpful information. We are so excited to continue building a relationship with this village. We will be doing work projects, operating a medical clinic, and running Young Life clubs in the village.